> The AL and NL Rookie of the Year Awards were handed out today. The AL recipient was who we expected: Mike Trout. Pretty sure we all knew that one in August. 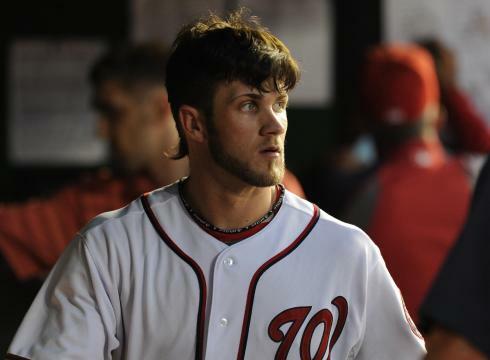 But there is a lot of debate around the NL winner, who, of course, had to be Bryce Harper. He edged Wade Miley by a mere seven points- Harper received 16 first place votes, while Miley got 12. I thought Miley was the clear-cut winner. He went 16-11 with a 3.33 ERA and was the unexpected ace of the Diamondbacks’ staff. Harper and the other finalist for the NL RoY, Todd Frazier, both had decent rookie seasons, but were WAY too overhyped. Harper hit .270, and received more hype than Ryan Braun did in 2007 when he hit .324 in his rookie season. Again, I’m not denying that Harper had a good season, but to say he had a better season than Miley- which is what giving Harper the NL RoY is doing- isn’t right. Also, if you didn’t see it, I went on a Twitter rant about how Wilin Rosario had just as good of a season- if not better- than Harper. Rosario had the same batting average, and more home runs and RBIs in less at-bats. That would have been fun to write, but I was stupid and forgot to take Coors Field into effect. Oops. > Props to the two writers who gave Norichika Aoki second-place votes in the RoY. Aoki came in fifth place overall, and also received five third-place votes. As you can see, Mike Fiers was left completely off the ballot. Apparently everyone forgot about him after he fell of a cliff from August on. > Doug Melvin shot down the rumors that the Brewers were talking to Corey Hart and his camp about a possible contract extension. Not to worry; we’ll probably see the extension come eventually. It’s worth noting Hart will probably be open to talks midseason as well, as he signed his three-year extension (which he’ll be in the last year of in 2013) in August of 2010. Red Sox: Signed David Ross to a two-year deal. Twins: Signed Tim Wood and Eric Fryer to minor league deals. Giants: Outrighted Emmanuel Burriss, who elected free agency; re-signed Jeremy Affeldt to a three-year deal. Rangers: Signed Neal Cotts, Juan Apodaca, Yonata Ortega, Jim Adduci, Zach Simons, and Aaron Cunningham to minor league deals. Royals: Outrighted Jason Bourgeois, who elected free agency. Tigers: Signed Shawn Hill to a minor league deal. Orioles: Signed Daniel McCutchen and Dan Meyer to minor league deals. 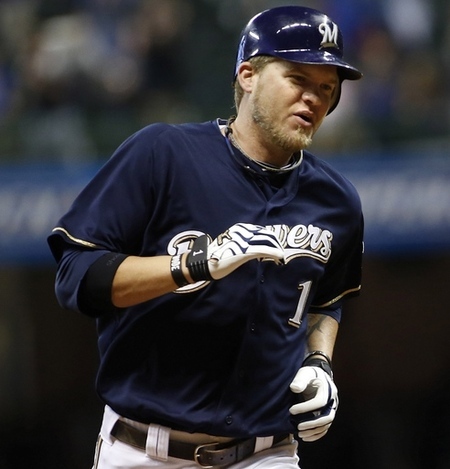 > I’m pretty sure we all saw this coming, but the negotiations between the Brewers and Corey Hart regarding an extension for the potential first baseman are now official. Hart has already come out and said multiple times that he’d like to remain in Milwaukee for the rest of his career, so it was likely these talks would happen eventually. Hart, who is a free agent after 2013, is looking for a three-year deal for an undisclosed amount of cash. However, it’s been reported that the Brewers “might prefer” a two-year extension, and an increase to Hart’s scheduled $10 million salary in 2013. 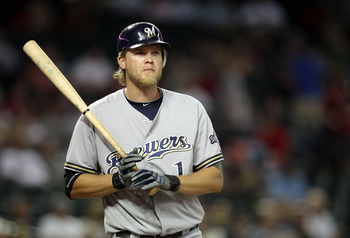 Hart signed a three-year extension with the Brewers back in late 2010. 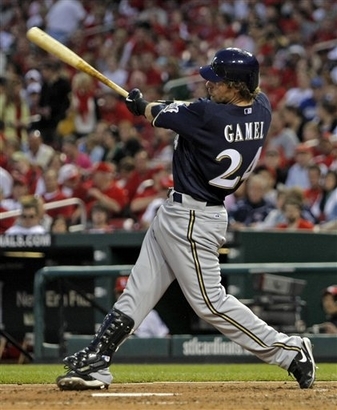 After Mat Gamel went down with a season-ending injury early in 2012, Hart stepped in at first base and filled in admirably. He’s always put up solid power numbers in the middle of the lineup, but he appears to be a well above-average defensive first baseman, as opposed to his deteriorating range in right field. Some are speculating that the Brewers will trade Hart or let him walk after 2013 because ultra-prospect Hunter Morris, who is also a first baseman, appears to be big league ready. However, it’s always a bit of a risk just letting a prospect- no matter his status- walk into a starting role in the Majors, so I think the safe play would be retaining Hart for at least a few more years. Plus, Hart is still relatively versatile, seeing as he could still play right field if needed (though, as mentioned earlier, his defense is certainly declining at that position). 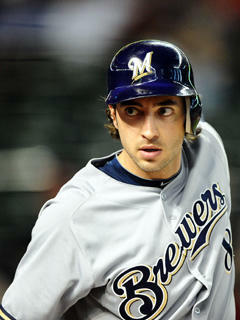 The Brewers and Hart will probably get a deal done before long, especially if Hart does indeed want to stay in Milwaukee. 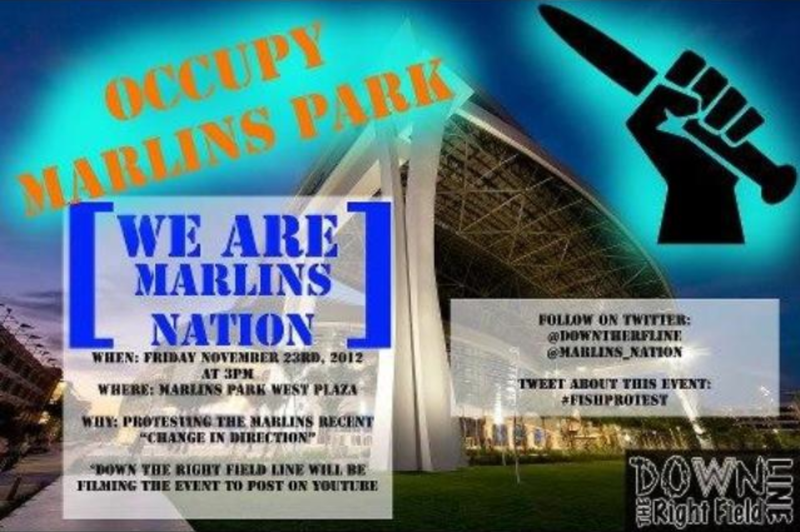 > The Brewers are reportedly expressing interest in Ryan Dempster, one of the few decent starter options on the market. 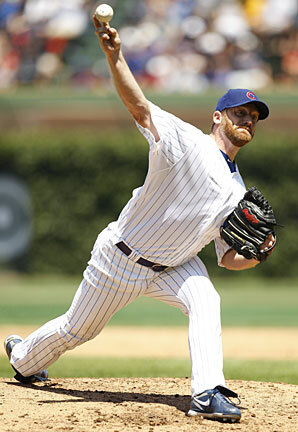 Between the Cubs and Rangers, Dempster went 12-8 with a 3.38 ERA, but had a 2.25 ERA in the NL with the Cubs. Dempster has had a lot of success at Miller Park, a venue which he’s familliar with, in his career: he has a 2.66 ERA in 14 starts and 12 relief appearances (he used to be a closer) at the Brewers’ home. But Dempster has also owned the Brewers in general in his career, as he owns a 16-6 record with a 2.65 REA against them (three of those losses have come over the past two years). 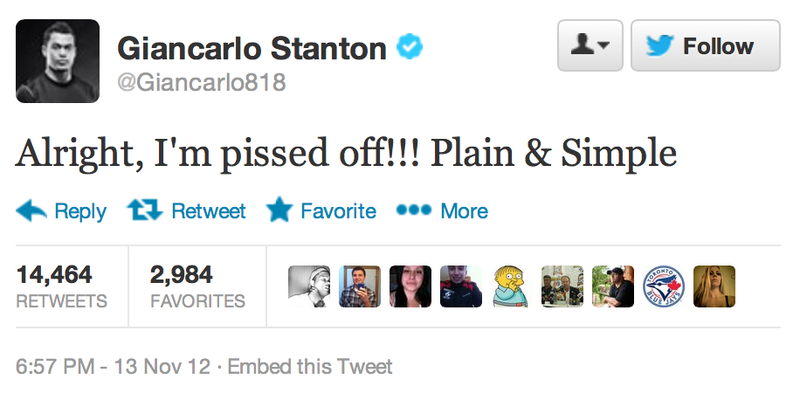 So that’s another positive of signing Dempster: if he’s on the Brewers, he can’t destroy their lineup. Blue Jays: Signed Justin Germano to a minor league deal. Royals: Signed Ian Gac and Luis Durango to minor league deals. Mets: Re-signed Mike Nickeas to a minor league deal. Red Sox: Signed Terry Doyle to a minor league deal. Orioles: Re-signed Lew Ford to a minor league deal.